O-Cedar Refill For Light and Thirsty Cloth Mop - 15 in. x 13 in. x 8 in. O-Cedar Maxi Plus Flagged Angle Broom - 57 in. x 12 in. x 4 in. O-Cedar Maxi Plus Flagged Replacement Head Broom - 12 in. x 12 in. x 6 in. O-Cedar Maxi Lok Rough Surface Plastic Broom - 28 in. x 17 in. x 13 in. O-Cedar Economy Warehouse Corn Wood Handle Broom - 56 in. x 12 in. x 9 in. O-Cedar Plastic Large Angle Broom Bristle - 56 in. x 11 in. x 9 in. O-Cedar Maxi Angle Unflagged Broom - 57 in. x 12 in. x 4 in. O-Cedar Spiral Bowl Brush - 19 in. x 10 in. x 9 in. O-Cedar Maxi Scrub Brush - 16 in. x 12 in. x 9 in. O-Cedar Baseboard Bi-Level Floor Scrub Brush - 16 in. x 12 in. x 9 in. O-Cedar Utility Brush Nylon Bristle - 20 in. O-Cedar Utility Brush Nylon Bristles - 8.5 in. O-Cedar Polypropylene Lobby Dust Pan Black - 35 in. x 13 in. x 11 in. O-Cedar Snap-On Dust Mop Metal Handle - 60 in. O-Cedar Metal Broom Handle - 54 in. 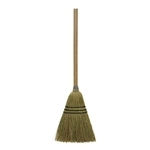 O-Cedar Maxi Plus Wooden Broom Handle - 60 in. O-Cedar Threaded Metal Handle - 60 in. O-Cedar Dust Mop Metal Frame - 5 in. x 24 in. O-Cedar Dust Mop Metal Frame - 5 in. x 36 in. O-Cedar Grout Brush Mop - 9 in. O-Cedar Cotton Head Dust Mop - 5 in. x 24 in. O-Cedar Cotton Head Dust Mop - 5 in. x 36 in. O-Cedar Large Looped Cotton White Mop - 19 in. x 7 in. x 15 in. 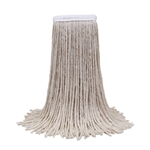 O-Cedar Cotton Bolt Type Mop Head - 20 in. x 6 in. x 9 in. 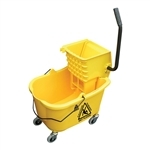 O-Cedar Economy Mop Head - 16 Oz. O-Cedar Economy Cotton Mop Head - 20 Oz. O-Cedar Economy Cotton Mop Head - 24 Oz. O-Cedar Economy Cotton Mop Head - 32 Oz. O-Cedar Rayon Mop Head - 24 Oz. O-Cedar Super Twist Looped End Blue Large Mop Head - 20 Oz. O-Cedar Super Twist Looped End Green Large Mop Head - 20 Oz. 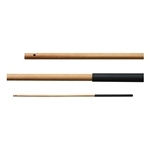 O-Cedar Quick Release Fiberglass Mop Stick - 60 in. 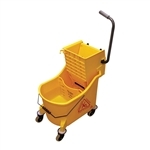 O-Cedar Plastic Large Dust Pan - 13 in. x 13 in. x 13 in. O-Cedar Maxi Scour Stainless Steel Scrubber Large - 35 g.
O-Cedar Bilingual Plastic Wet Floor Safety Sign - 29 in. x 13 in. x 9 in. O-Cedar Curved Floor Squeegee Tapered Handle - 24 in. O-Cedar Moss Head Floor Squeegee - 18 in.